A free consultation is available for all services. Contact us to set a time to come by, check things out, and have your questions answered. Hypnosis is a process of emotional change. Individual sessions allow Dr. Mau to frame things uniquely to help you. Professional training services are designed to help businesses, agencies, organizations and groups sell more, plan better, and compete as the very best. Dr. Fredric Mau specializes in Narrative Therapy, Ericksonian Hypnotherapy, Motivational Interviewing, and Solution-Focused Brief Counseling. He is a Licensed Professional Counselor Supervisor (LPCS), Board Certified National Certified Counselor (BC-NCC), Board Certified TeleMental Health professional (BC-TMH), Board Certified Hypnotherapist (BC-H), and Certified Instructor of hypnosis (CI). Emotions, not information, drive behavior. People take action because something is more emotionally comfortable than something else. Real change is not based on surface-level information; rather, it occurs when you reframe your emotions. Our stories drive our lives - reworking your story at a conscious or unconscious level is a powerful path to health. We’ve all heard the joke, “That’ll take years of therapy to fix!” But how long does it take to make profound emotional change? Research has shown that you can fall in love in just one-fifth of a second (Ortigue, et al., 2010, cf. “Syracuse,” 2010). Substantive change doesn't always require a long, arduous process. Dr. Mau works from a brief therapy model to help you experience deep emotional change in just a few sessions. The key is to focus on solutions. Solution thinking is very different from problem thinking. While some approaches to therapy focus on gaining insight or focus on the past, these problem-focused approaches simply bring the emotions of the past into the present--where they don’t belong. In contrast, a solution-based approach with a future orientation is more effective. Dr. Mau's approach emphasizes embracing emotional health. Dr. Mau was awarded Outstanding Counselor in 2019 by the South Carolina Counseling Association. "This award is designed to recognize meritorious and exemplary service as a counselor. The recognized meritorious service should reflect contributions and service in the primary role as a counselor or closely related helping professional." In 2018 Dr. Mau was inducted into National Guild of Hypnotists' Order of Braid. "The Order of Braid designation is the centerpiece of the NGH Awards System and recognizes a lifetime of outstanding achievement, dedication, and service." The Order is named for Dr. James Braid, the Nineteenth Century Scottish surgeon and gentleman scientist who coined the word "hypnosis," and is regarded as the Father of Modern Hypnotism. 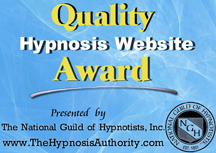 Dr. Mau was awarded the Hypnosis Research Award at the 2016 National Guild of Hypnotists convention. This is "awarded to a member who has contributed valuable research for our profession this year." An internationally known speaker, Dr. Mau received the HypnoScience award for research in science which advances the profession of hypnosis at the 2013 international Hypnosekongress in Zürich, Switzerland. Dr. Mau's first book Emotion: The Power of Change - A Science-based Approach to Ericksonian Hypnosis, and his second book, A Different Reality: Adventures in narrative therapy & a protocol to address anxiety disorders and insomnia, are now available in softcover and as a Kindle eBook. Click the cover for more information on each book! Stop smoking, lose weight sleep better - Hypnosis helps you improve your well being in these and many other ways. Click to take a look at Dr. Mau's services for individuals. You will be surprised at all you find. Training for professional counselors, Hypnosis certification for anyone, coaching for executives, interesting and fun employee benefits (which can save your business money) - there are a lot of surprises in the Professional Training section. A free consultation is always available for all our services. To schedule your free consultation, just send a note using the form here. Please feel free also to contact us by phone at (803) 750-2000. The Forest painting in the header by Rachel Parker - rachelsstudio.com - used by permission.